It’s finally football season! At Einspahr Auto, we love heading over to Dana Dykhouse Stadium, cheering on the Jacks to their next victory. Besides the actual football game, one of the best parts of Jackrabbit Game Day has got to be the tailgating. Honestly, we can’t think of a better way to spend a Saturday than by grilling burgers, drinking beer, and hanging out with hundreds of fellow Jackrabbit fans. You may have the burgers, beer, and Jacks gear, but do you have the right truck for SDSU tailgating this fall? Thankfully, the Ford and RAM trucks at Einspahr Auto are the perfect addition to any tailgate. Keep reading for top features of both Ford and RAM trucks for sale at Einspahr. Football and tailgating is about as American as it gets, so of course America’s best-selling truck– the Ford F-150, is a top truck choice among tailgaters all across the country. The new F-150’s high-strength military-grade aluminum-alloy body allows you to load up the truck bed with all kinds of tailgating equipment without worrying about dents or corrosion. Not only is the F-150’s bed strong, it also comes equipped with a number of features perfect for tailgating. LED box lights, stowable loading ramps, class-exclusive integrated tailgate step with lift assist, and remote tailgate release (lock or unlock the tailgate) are all available in this truck. As you back into and out of your tailgating spot, you’re going to need an extra set of eyes to make sure you get out of the parking lot without any accidental fender benders. The F-150’s 360-degree camera with split-view display makes maneuvering around the tightest spaces a breeze. RAM has made incredible updates to the popular RAM 1500, making this truck a definite contender for top tailgating truck of 2018. If you’re tailgating right, you most likely have quite a few items loaded into your truck bed. If driving with all these items makes you a little nervous, you’re not alone. The RAM 1500’s available Four-Corner Air Suspension offers automatic load leveling and is designed to help improve capability and maintain the exceptional performance RAM trucks are known for. Toolboxes are great, but when incorporated into a truck, they’re even better. The RamBox® Cargo Management System is every tailgater’s dream with a lit, secure, durable, and drainable storage system incorporated into the side rails of the RAM 1500’s truck bed. Ready to tailgate? 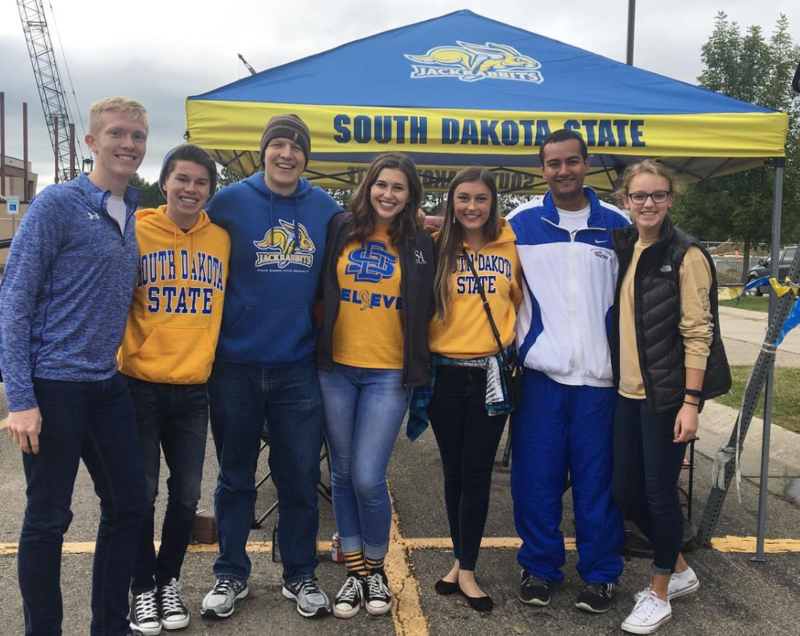 Make sure you’re prepared for SDSU tailgating season and beyond by shopping Einspahr Auto’s selection of new Ford and RAM trucks for sale in Brookings. Not a tailgater? No problem! We have a wide variety of cars, trucks, and SUVs available for every South Dakota driver.